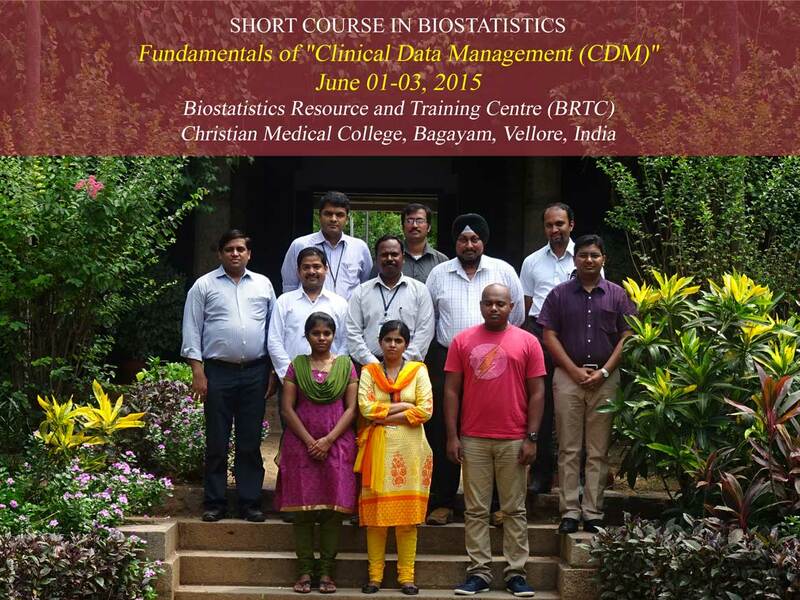 Fundamentals of "Clinical Data Management (CDM)"
This course is intended to introduce principles of Clinical Data Management (CDM) and associated international standards for the conduct of clinical trial research. The course is targeted towards lead clinical trial researchers and other members who are involved in clinical trial research. After the course the attendees will understand principles of CDM, ICH-GCP and other guidelines, Data Management Plan (DMP), SOPs, creating Case Report Forms (CRFs), data management systems, data entry methods, data validation, query management and database lock. The 'OpenClinica' database system will be used in practical session during the workshop. Course Fee should be paid in full by May 25, 2015. Payment can be made by Demand Draft in favor of "Christian Medical College Vellore Association Account", payable at Vellore. The number of participants for each course is limited to 45 and admission will be purely on first come first served basis.